The Healing Power of Sound has been an integral part of Human civilization for thousands of years. We live in a Vibratory Universe where there is no such thing as Matter. Everything we sense and feel and see and touch is pure Energy, tiny, denser bits of energy which we call particles, vibrating according to the Laws of Creation. The basic principle of sound healing is the concept of resonance (the vibratory frequency of an object.) The entire Universe is in a state of vibration. This includes human beings. Every organ, cell, bone, tissue and liquid of the body, and the electromagnetic fields which surround the body, has a healthy vibratory frequency. If we are not resonating with some part of ourselves or our surroundings, we become dissonant and therefore unhealthy, our naturally healthy frequency becomes a frequency that vibrates without harmony, creating illness. 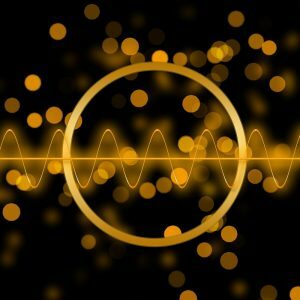 These are frequencies that many therapists and medical practitioners have found to be effective in the treatment of different ailments and conditions. Healing frequencies are often based on Natural Cycles as is the case with HarmonicSounds Tuning Forks for Sound Therapy. There are many different opinions about which healing frequencies are most effective, and we advise students of our trainings to practise with all the tools and instruments at their disposal in order to find a system that best works and ‘resonates’ with them. By natural cycles we refer to the cycles that already influence all Life on this planet, cycles to which our Biorhythms are tuned when we are in optimum good health. The Earth Day cycle of 24 hours, the Earth Year cycle, the Moon and Sun cycles, then the other planets in our Solar system, all exert an influence on living things on Earth. Because Sound is measured in cycles per second, any cycle can be converted to a human-audible sound by raising it or lowering many octaves. Healings Sounds are those that through sympathetic resonance, bring the listener and/or client, into harmony with their surroundings, with Nature, with the natural rhythms of Creation and therefore into a relaxed state of health and wellbeing. What does a Sound Healer do? 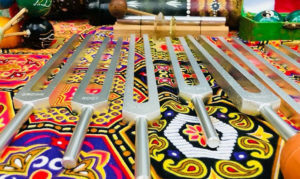 A Sound Healer or Sound Therapist uses their voice and other musical instruments and tools such as tuning forks, to help restore balance to the body. These instruments are more powerful than most people realise and also operate on a mental, psychological and energetic level. Certain sound healing tools are used directly on the body, tuning forks, singing bowls and therapy monochords for example. Sound Healing provokes states of deep relaxing where the healing of emotional pain and scars becomes much easier. Releasing fear and grief, loneliness and depression, cleansing unwanted emotions and finding solutions to emotional issues with others, are all achieved with sound healing. Many physical ailments, aches, pains, muscular and connective tissue problems, mobility problems, post-operative recovery, tinnitus and many more serious chronic diseases can all be cured or alleviated by sound therapy. Sonopuncture, the application of tuning forks instead of needles on acupuncture points, has been found to be incredibly effective.